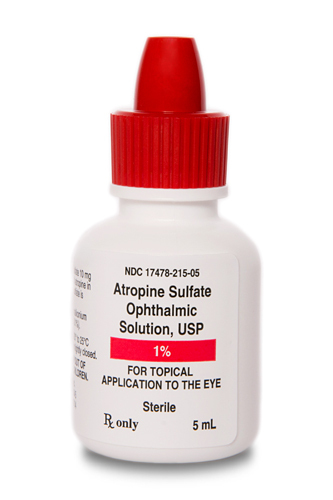 Sterile, mydriatic Atropine Sulfate 1% solution in 5ml dropper bottle. Manufactured by Akorn. 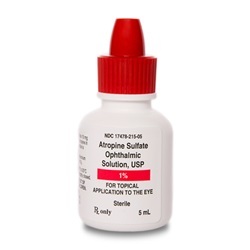 NDC: 17478-215-05. Comes as singles.